Huawei is all set to launch its Huawei P30 series of smartphones today at it’s even in Paris, France. The Huawei P30 launch event will kick off today on Tuesday, March 26 at 2:00 pm CET. We are just a few minutes away from the official launch of the Huawei P30 and looks like someone has already got their hands on with the latest Huawei P30 Pro. 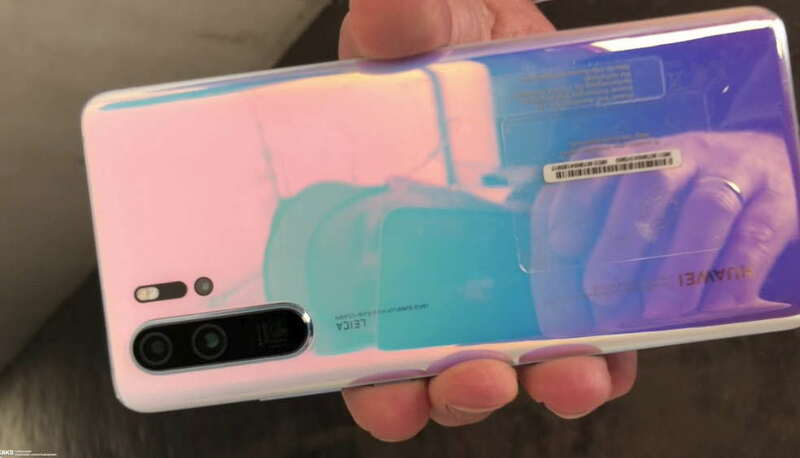 OnLeaks on his Twitter account have now shared the first hands-on video of the new Huawei P30 Pro device ahead of its official launch. The hands-on video of the Huawei P30 Pro shows the device in Pearl White Color. Since there is nothing left behind the curtains, we pretty much know quite a lot of details about the upcoming Huawei P30 Pro. Recent, Huawei P30 Pro Geekbench listing revealed that the Huawei P30 will be powered by a Huawei’s Kirin 980 chipset. which is an octa-core processor clocked at 1.80 GHz. The listing also reveals that the phone will have 8GB of RAM and will run on Android 9 Pie out of the box. The phone will come with a teardrop Notch on the display. The phone is also expected to feature quad camera setup and in-display fingerprint sensor. Huawei is streaming its P30 series launch event live on its official YouTube and Twitter account. So, if you catch live event just head over to the live video.